I wasn't a huge fan of lotus until I test drove the Exige over the weekend, now I'm in love with them. Only gripe I had about the car was the shifter otherwise it was very well put together. 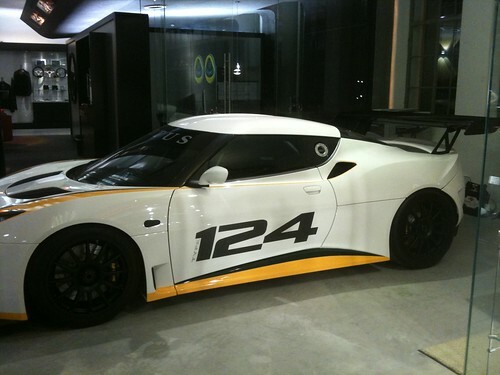 If the exige is any indication then this car could be quite the surprise when you see it/drive it in person. It's not going to be the fastest thing out there nor is it intended to be, but it certainly has more of an exotic look than a 911. I did indeed end up going back today for a test drive. It still has Lotus elements to it, but it's definitely more grown up and certainly way more daily drivable. Ride is comfortable, but still very sporty. Suspension feels tight, but not nearly as twitchy as the Elise, certainly a bit more dialed down, but again still fun. Steering feel is great even with the power steering addition here, the feel is light and nimble, but direct enough you still know you're driving a Lotus. Brakes, didn't get to test out much since it was pouring rain, but considering their size I'd suspect they're pretty bangin. Power, I had my doubts and imagined it would be a lot like the Elise in that it would require a vast amount of RPM's to get moving, but the V6 is decently torquey down low and has a really nice growl to it across the rpm band. 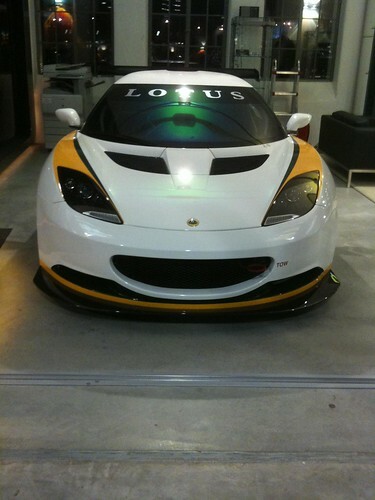 All in all I'd say it's a great daily drivable Lotus, with some track potential. I'd suspect to say that with a set of Ohlins and some harnesses you could have a hell of a time around any track. 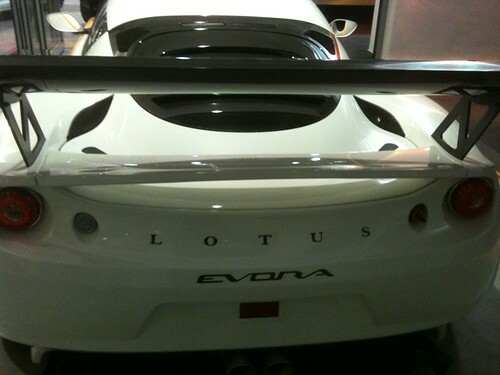 I think Lotus achieved their goal of building a car that had a lot of Elise/Exige in it, but without the compromises. If that was indeed the case, goal was very well achieved. Honestly, it looks a lot better than the Cayman imho, now I'd like to drive the two back to back. My gut tells me from the last time I was in a Cayman that this is a much more fun automobile. Only Porsche for me has at least 3 emergency numbers in it and I'd feel a hell of a lot cooler in the Evora than a Coxster or the Cayman. Looking good in race livery. 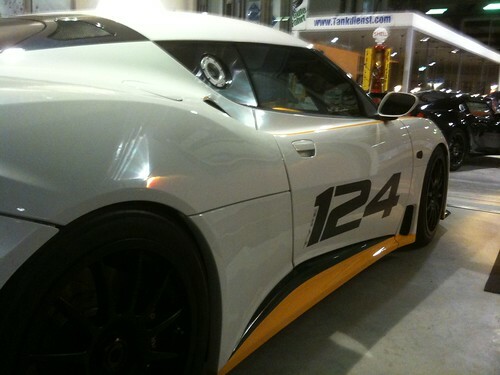 wow that lotus all raced out like look killer! I would like to take it for a drive around the track once or ten times. When a supercharged one comes out, I will have no choice but to sell a lung and get one. looks awesome in race livery. cant wait to see one in person, and get the chance to drive it. I would like white with a set of black Dymags or Carbon Fiber HRE's please. And apparently you guys have not read Toyota's latest marketing initiatives. They would badge this car a Lexus and charge more for it than the already established and even one level higher competition! So it would be about $110k. The Lotus Evora midship engine always costs than BMW M3 FR sport cars.